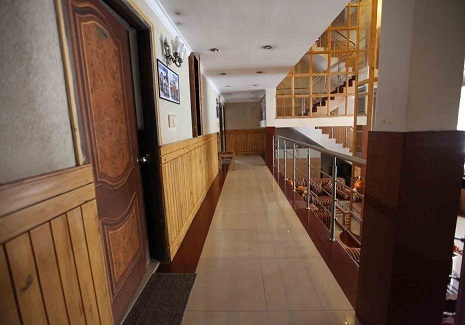 Having experience in quality management of Hotel in Badrinath for over 20 years; we always give utmost importance to cater all needs of our patrons, Comfort being the top priority. We promise to deliver “experience worth remembering”. 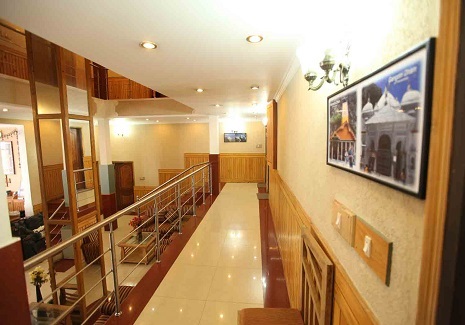 Our prominence as one of the Best Hotel in Badrinath lies in breathtaking views of Neelkanth Parvat having complimentary soothing sound from peaceful rendition of Maha Abhishek Aarti, bringing blissful slumber. Supplemented with the chill of snow-clad mountains, summer heat is surprisingly pleasant. 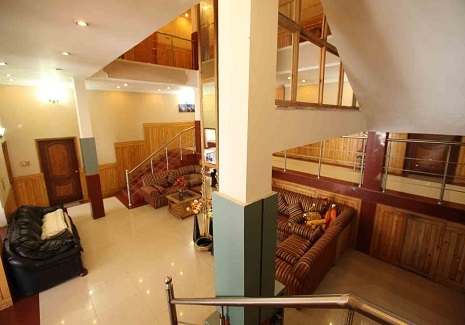 All major scenic locations are only paces away and all amenities available in the vicinity. Mana Gaon, the last village on the Indian border with Tibet, where the Pandava brothers from the Mahabharata are believed to have passed through before their final ascent to Heaven. Mana is the sweetest little Himalayan village. Such is the last Indian village dotting the border with Tibet. 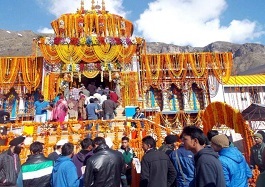 The villagers of this village are culturally associated with activities of Badrinath temple and annual fair of Matha murthi. They used to trade with Tibet in earlier days. There is a small cave in Mana, named Vyas Guha and it is believed that Maharshi Vyas composed Mahabharatha in this cave. One more cave is called Ganesh Guha and tourists visit both caves regularly. 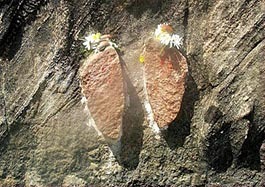 Charanpaduka is a beautiful rock, which holds the foot prints of Lord Vishnu. It is 3km away from Badrinath temple. The famed rock grabs the attention of the tourists all around the world. 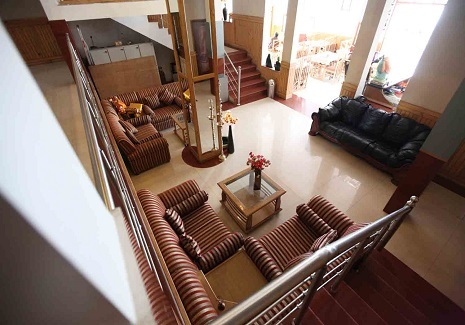 An elevated site at a height of 3380 feet, this place beholds enchanting beauty and serenity. 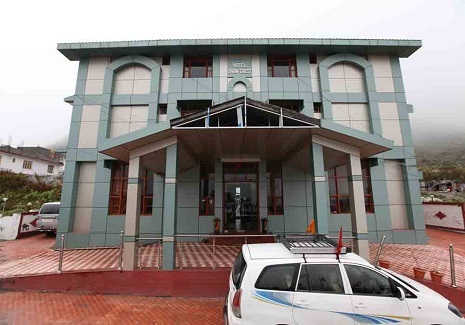 Though the uphill path is quite a risky and arduous one, the scenic ambiance and the holy darshan of the Lord footprints would retrieve all the ailments and troubles from the devotees. The popular belief is that Lord Vishnu set his foot on earth through this point. Bhagwat Purana says that Lord Sri Krishna advised his minister Uddhav to proceed to Badrinath with his Charan Paduka and assured him that the mere glance of Alakhnanda would cleanse off his all wrongdoings. While making a visit to this place, you can see those finger prints on the stones of the rock. This Chranpaduka is situated around 1.5 km away from Banganga. The rock holds a medical unit of shrine board. 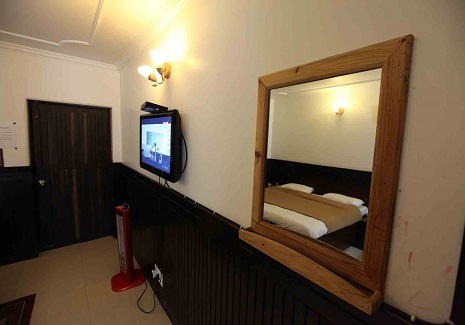 This medical unit is well equipped and it holds all basic medical amenities. A practiced and professional medical staff is also there to take care in case of troubles. Nilkantha the Garhwal division of the Himalayas, in the Uttarakhand region of the Indian state of Uttarakhand. 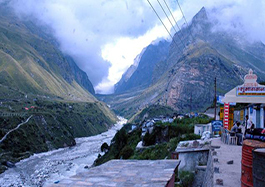 Although substantially lower than the highest peaks of the region, it towers dramatically over the valley of the Alaknanda River and rises 3,474 metres the Hindu pilgrimage site ofBadrinath, only 9 km to the east. 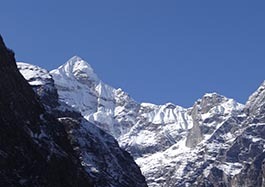 People described the peak as "second only to Siniolchu in Himalayan beauty. The Satopanth Glacier lies on the northwest side of Nilkantha, below a 2,500 m (8,200 ft) face of the peak. The Panpatia Glacierlies to the southwest, and feeds the Khirao Ganga, a stream running under the south side of the peak. Further away, to the west of the peak, lies the well-known Gangotri Glacier and its associated peaks. Across the Alaknanda valley lie the Kamet and Nanda Devi Groups.